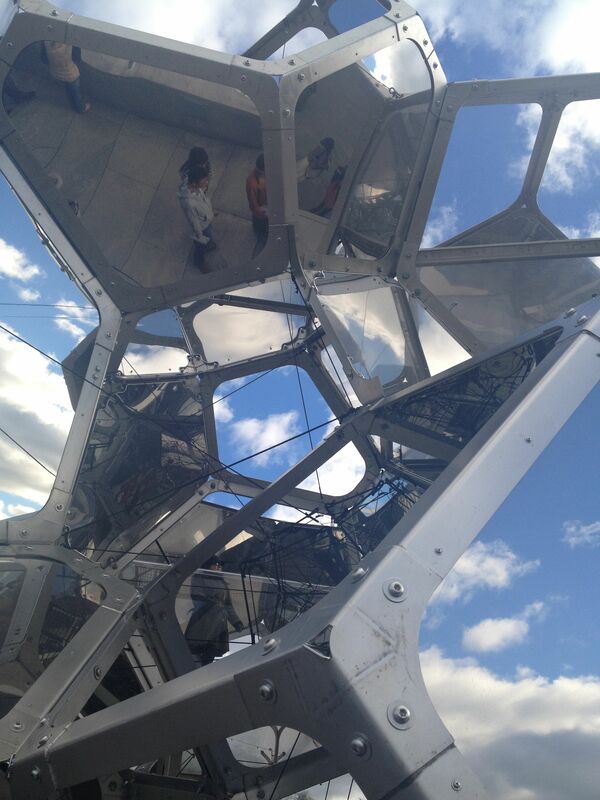 Today is the second to last day to see Tomas Saraceno’s monumental sculpture, “Cloud City” at The Metropolitan Museum of Art. We had seen it this summer, but had to go one more time. “Cloud City” is more than just a sculpture. For visitors lucky enough to score a special ticket, a viewer can become a participant by entering the sculpture, climbing internal stairs, and viewing the world (and the inside of the sculpture) from the interior of a “cloud.” You can actually climb up and occupy the – what – bubble (?) cell (?) on the upper left in the photo. Alas, tickets were already allotted, so we had to “participate” in the more traditional way of viewing a “cloud” from the outside, underneath. We needed to go to the roof garden. We needed to return to a place we associate with summer, with the exhilaration of sunset on a summer’s evening amidst happy, healthy crowds, with our multi-generational visits of prior years – one last time before this aspect of the year, our year is closed. 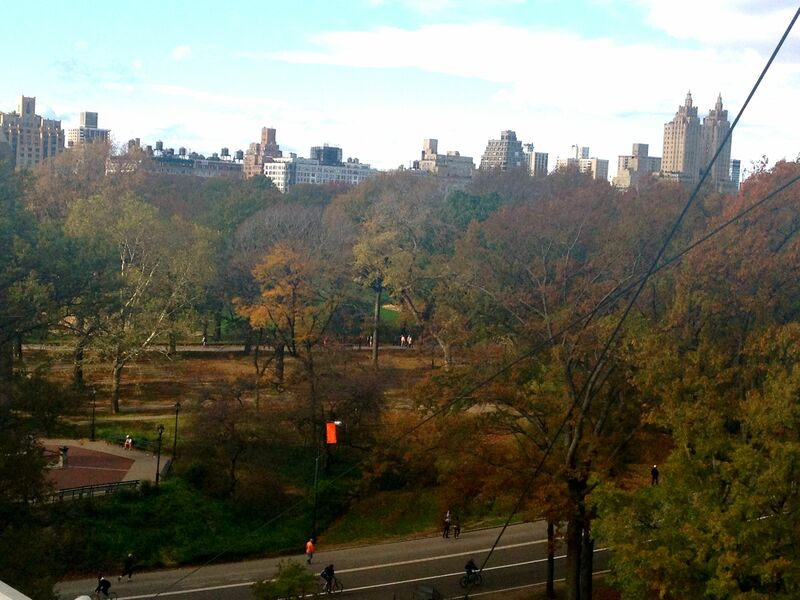 We needed to see what Central Park looked like after the hurricane. We needed to fill our eyes with the optimism of a large-scale art installation on a roof garden in a park in a major city. Although we didn’t say this to each other before we were within twenty feet of “Cloud City,” we needed to see that the sculpture was intact. It is. If we can’t get to our family and friends in places hit hard by Sandy, if we can’t stand at some house near the water that is miraculously still there and give thanks, or stand where something once was, bear witness, and try to help, then, at least, we can visit our old friend, “Cloud City,” and be grateful. It is a solidly constructed sculpture. Even so, I doubt that it was fabricated to withstand a hurricane. It was quite cold on the roof. The fall foliage was intact. People have returned to the park. The cables (you can see one on the right of the photo), put in place pursuant to some possibly now outdated building code, are doing their job of keeping everything in place. Did I mention how cold – er – refreshing it is on the roof? Time to go back inside and explore. 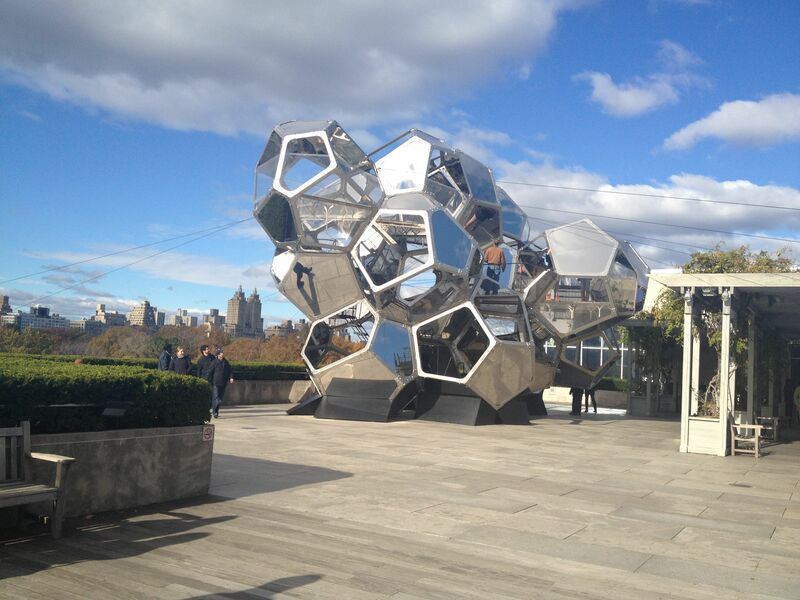 Your post, “Cloud City” at the Metropolitan Museum of Art | wendyjournalista, is really well written and insightful. Glad I found your website, warm regards from Carolann!